Do you need an SUV for your family and all of their miscellaneous items? The 2019 Ford Edge might be just what you’re looking for. 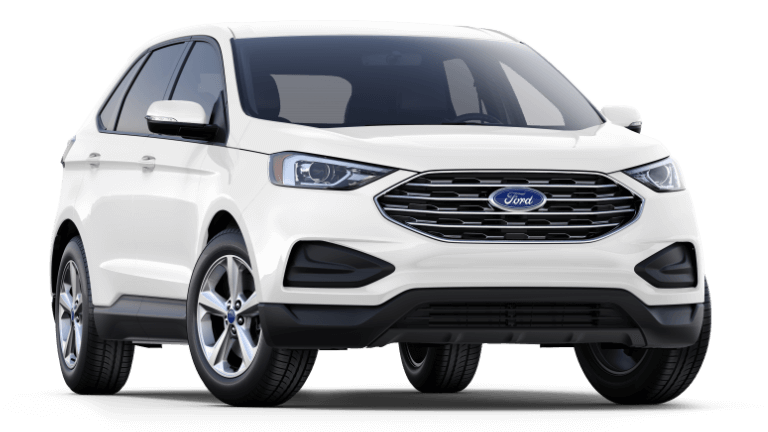 This page was put together by the Westlie Ford experts to showcase Ford Edge specs, trim options, model comparisons, and current deals that are available. Are you already interested in the Ford Edge? You can view the 2019 Ford Edge inventory so that you can find a model you’d like to test drive. If you’re curious about anything and would like to speak to one of our team members in Washougal, WA, please either call us at (360) 602-2490 or use our online form. This SUV boasts two impressive engine options, four trim levels, and the LATCH system to keep your youngest children safe in their car seats. With seating for five and up to 73.4 cu.-ft. in cargo volume behind the first row, you can safely transport both your luggage and your group. You can choose from either the Twin-Scroll 2.0L EcoBoost® engine, standard on the SE, SEL, and Titanium trims, or the 2.7L EcoBoost® V6 twin-turbocharged engine, standard on the ST trim. The individual engine specs are listed below. 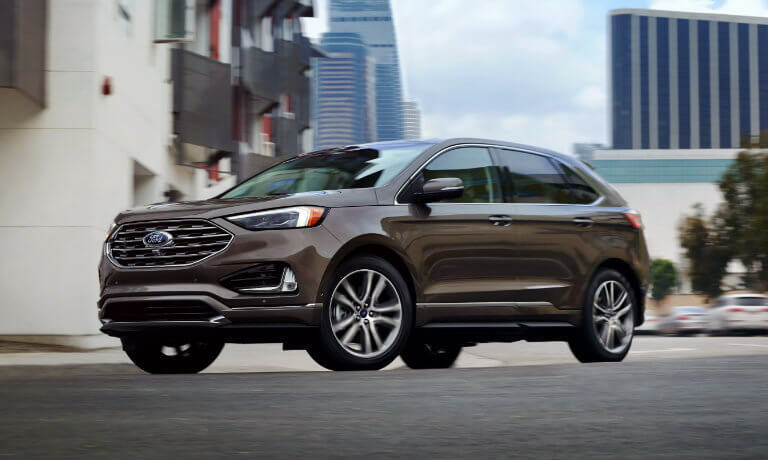 All four of the Ford Edge trims come with constant connectivity, comfortable interior, and bold exterior design, making them appealing choices for any family on-the-go. The four model options and their respective prices are listed below. 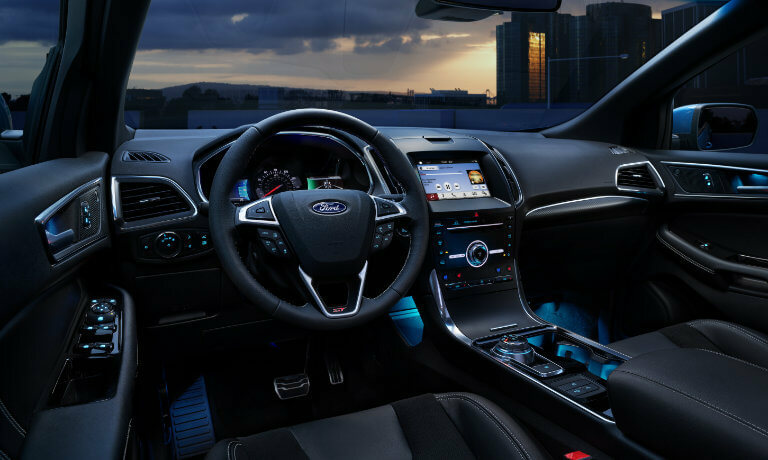 Once you’ve had a look, you can check out the 2019 Ford Edge trims page to find out more about what each trim can offer you. Are you interested in the 2019 Ford Edge and want to see our current lease and finance offers that are available for you? Navigate to our lease and finance incentives page so you can find out how you can save on your next SUV purchase. 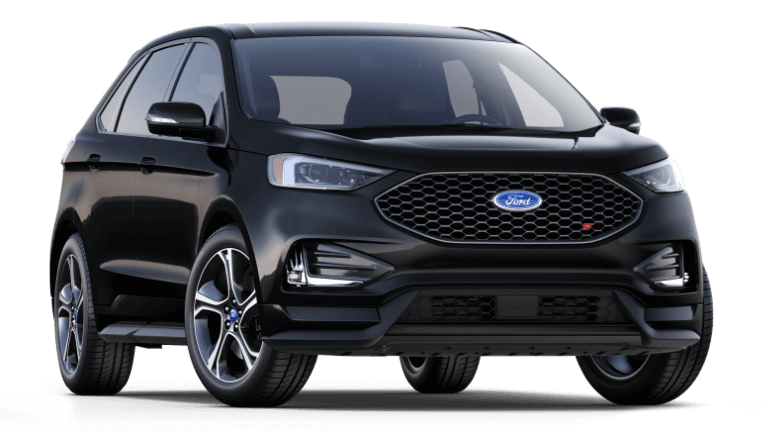 Would you like to see how the 2019 Ford Edge stacks up against the competition? Check out our model comparisons page, where we pit the 2019 Ford Edge against various other manufacturers’ models.